It's getting cold these days! How are you doing? It was sun shining day from the morning after so long today. 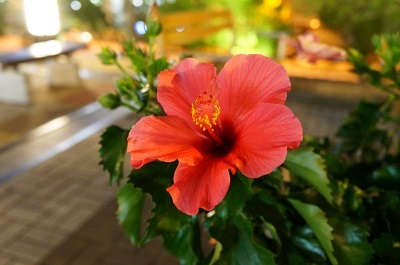 I went out in the evening and there were beautiful hibiscuses blooming there. Floweres always make me happy. I'm grateful for beautiful flowers and plants in the city. If you have a slight cold too, try it. 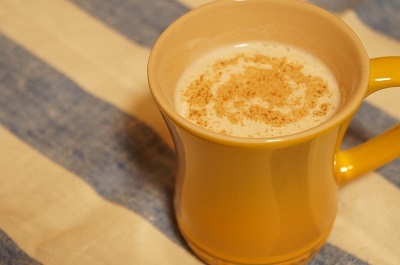 Wram soy milk and add ground ginger and honey.